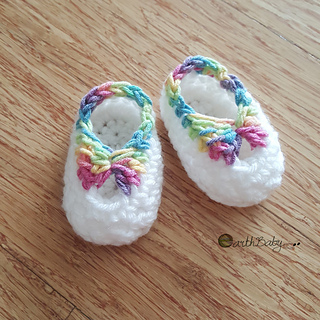 This is a free crochet pattern to make baby booties as a last-minute gift for a newborn girl. It works up fast and makes a pretty baby gift; plus it’s excellent for using up the last scrap of yarns from other projects! It’s my go-to pattern for adding a touch of handmade to any baby shower presents. Happy Crocheting!